“The fact that over half JVFG members are in profit even with crop returns as low as they are is a beacon of light to UK farmers” says Gwatkin. 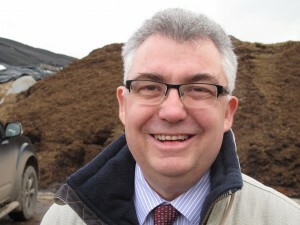 Jamie Gwatkin delighted that despite tough times majority of JVFG make profit. Twice a year JVFG members gather to hear the results of analysis of their business performance. 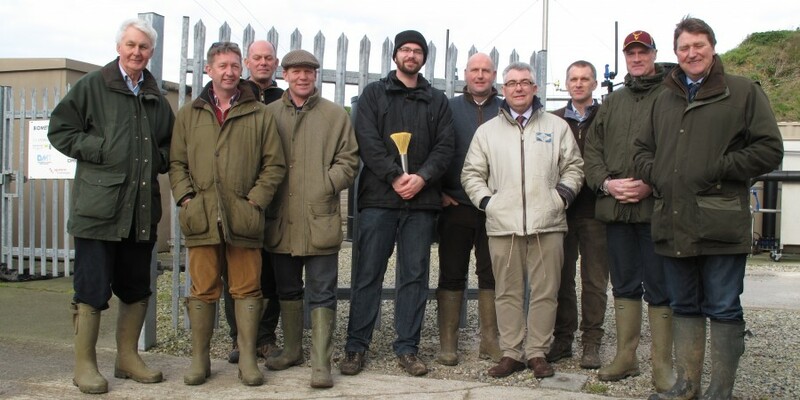 Their winter meeting was – for the first time – held in Dorset, hosted by the consistently high performing business JV Farming, directed by Tim Merry. 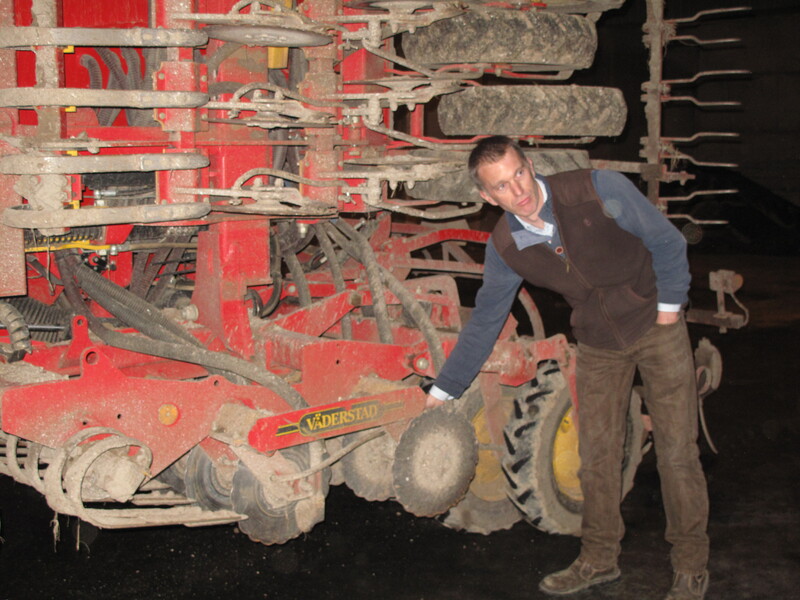 The December meeting, preceded by dinner and overnight at a local pub, began in the barn at Bardolf Farm with an examination of the simplified, versatile and low cost toolkit that Tim Merry and his team use to establish their crops. He explained his choice of Fendt tractor, an ex-demo, and his trusted Vaderstad drill in which he had invested in maintenance by renewing all the track rods. Being a JVFG farmer he knows the cost of that: 15 pence per acre. He predicts it will have another five years or 19,000 acres of work from that investment. Next the group had a tour of the Rainbarrow AD plant built by the farming company’s sister business, JV Energen. 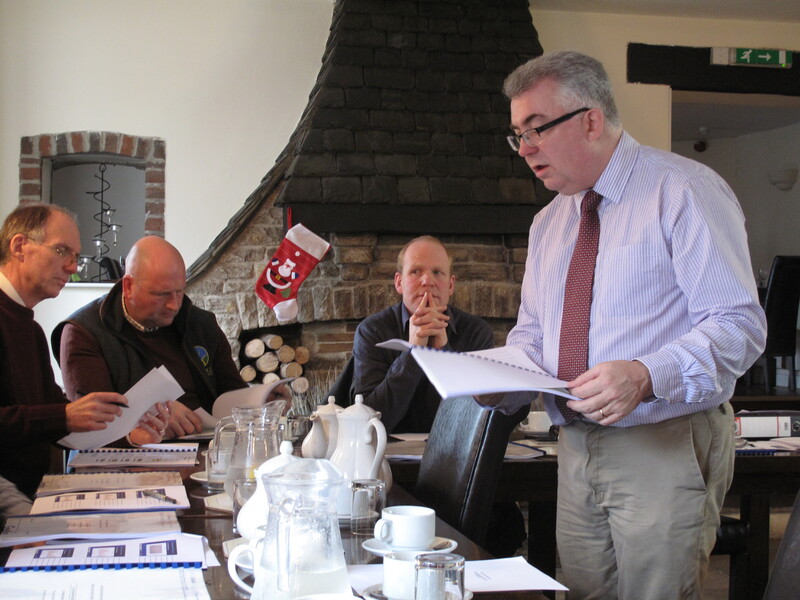 Each JVFG member is issued with a bespoke report. The evidence inside their tailormade dossier reveals the results of their decision-making on machinery use as well as the performance of operators and machines per hectare or tonne sold. “It’s clear that there’s still progress being made to drop the costs of establishment ” reported Gwatkin. Essex-based Pelham Farming were praised for significantly reducing their costs of establishment by 17% year on year. Edward Hitchcock puts that welcome latest reduction in costs down to the combined influence of falling tractor depreciation, increasing the hours worked by each tractor and investing £3500 in a coulter blocking monitor system. Inevitably there is a small element of competition between JVFG member businesses. It’s fitting perhaps that the trophies awarded each year to the winners are correspondingly small. 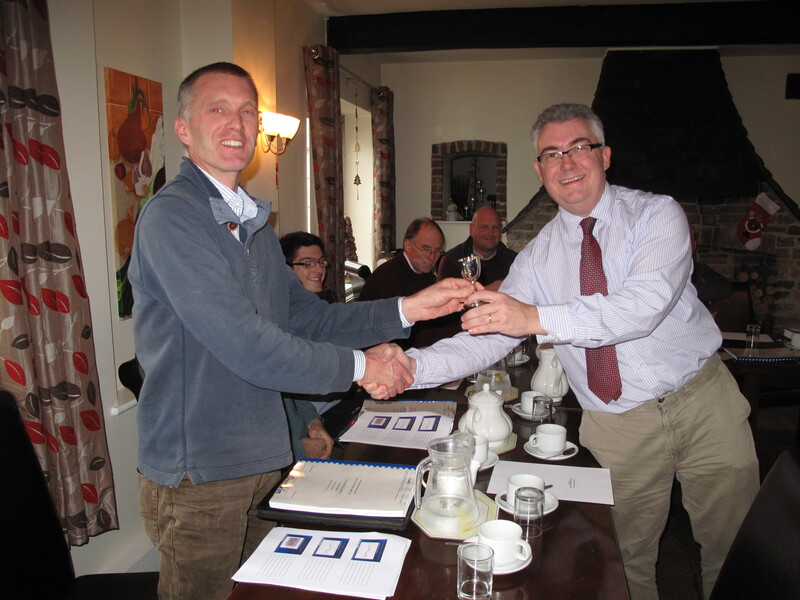 Tim Merry accepts trophy for JV Farming for least cost establishment per tonne. Nevertheless Tim Merry was pleased to achieve the least cost of establishment per tonne. Jamie Symington from L Symington Farms, Norfolk, was delighted to be recognised for the least cost per tonne harvested. Winding up the highly valued discussion, Jamie Gwatkin remarked on some impressively good news. “Excluding all subsidies, and taking into account a notional rent, our figures show the true commerciality of growing wheat. We can also show which JVFG member businesses are making a profit even in these incredibly tough times. For those members, and for the others who aspire to their level of efficiency, the challenge ahead remains the same: how to reduce costs while maintaining and even increasing yield and also getting to grips with the yield damaging blackgrass problem that is rife in many of our member’s regions.